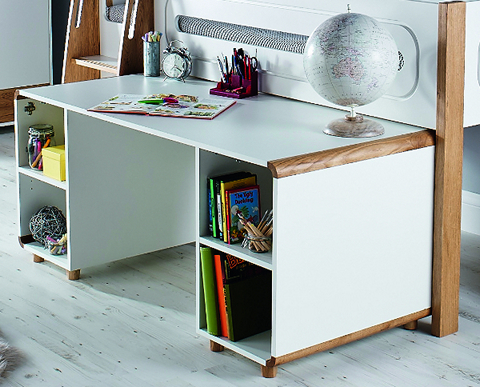 With rounded corners and a pleasing white and oak finish, the Stompa Curve Large Desk offers the perfect place for your little one to work or create. There are four deep shelves providing plenty of storage to keep toys, books, craft materials and stationery. 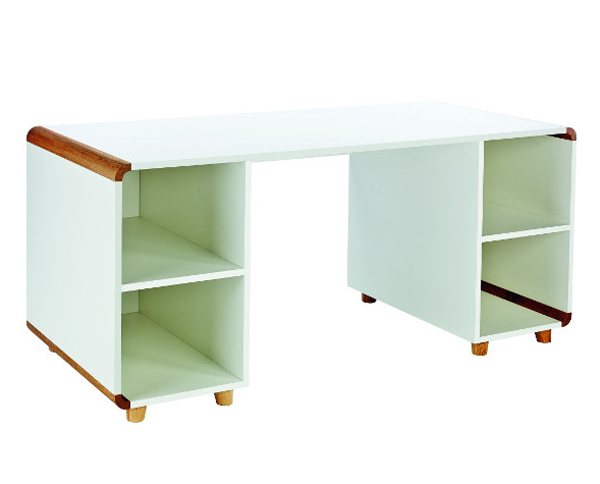 It's made from durable MDF treated with a smooth white lacquered finish and is ideally paired with a set of Stompa's doors (available to purchase separately). Features attractive solid oak corner pieces. Additional doors available in oak or white.